Founders Emilia Herting and Maeve O'Sullivan met during their studies in Traditional Chinese Medicine (TCM) in London.
" From the start, we shared an idea for Integrative Medicine. Through clinical practice, experience and by living in the colourful, inspiring but chaotic London, we were inspired to put our thoughts into action and this concept came to life - Escapada". 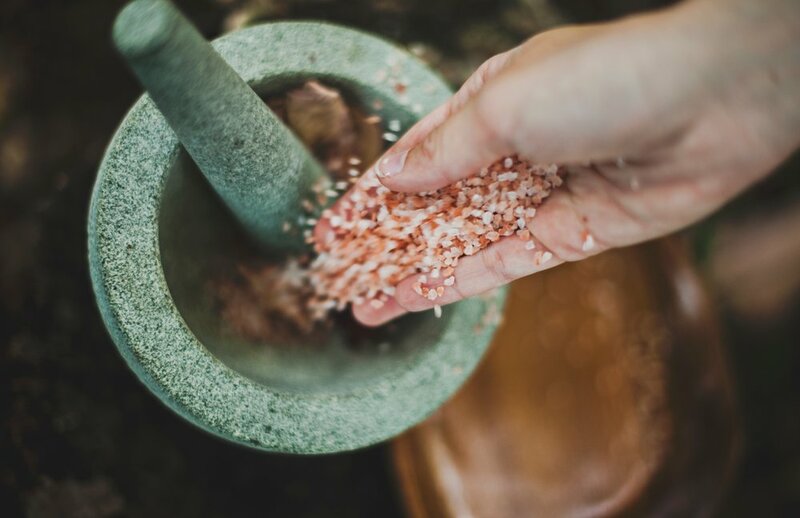 Together with Ayurveda therapist Ingrid Reygers, they united the two oldest medical healing systems in the world: Ayurvedic and traditional Chinese Medicine. We believe that health should not be just the absence of disease, but the feeling of wholeness, balance and resilience. We may know what's good for us but we often struggle with the practical application of a healthy lifestyle in our everyday busy lives. In addition, with an overwhelming amount of information around us, the idea of Integrative Health can seem like an unachievable concept. At Escapada, we want to explore a diverse yet simple, achievable and individualised approach to Integrative Health. We wanted to build a retreat around the guest and their life. "This is a magic place"
"It felt like a complete reset of my entire system, something I have never experienced before. The combination of feeling strong and calm on the inside whereas I normally stress about everything, made me realise something extraordinary"
Our Health Retreats combine the wisdom of two extraordinary Eastern philosophies – Chinese Medicine and Ayurveda. These health sciences remain the most ancient yet living practices, retaining their essence while adapting to modern lifestyles. They both describe imperishable natural laws and are based on supraregional, timeless, and long-lasting values. By combining the wisdom of these two Eastern philosophies, our aim is to explore some basic ancient principles and knowledge to simplify and improve life: the way we eat, the way we think, and the way we live. what sets us apart from other retreats? Your Health Retreat will begin with a integrative consultation to learn about you and your life. This consultation will ensure that the Retreat is tailor-made to your specific needs and health status. Enjoy a wonderful combination of health enhancing nutrition, yoga, and fitness while rebalancing body and mind through acupuncture and massage treatments to create the perfect healthy escape. Why you need Escapada in your life? The pace of our lives has grown exponentially. This causes us to constantly be in “to do” mode as opposed to “being” mode. One of the jobs of integrative medicine is to urge individuals to value practices that help them become more mindful and emotionally intelligent. We at Escapada, challenge people to develop such practices by turning off and tuning in.